According to our specialists, while you can do the key fitting in your home by yourself, it’s advised not to if you’re not an expert in this field. This is because no matter how high quality your lock is, if it’s not fitted or installed properly and if it’s not the correct size for your door, it would not be able to do its purpose. Be extra careful where you leave your keys. Do not leave them in locks or hanging on the door as they can be easily picked by thieves. This would give them the chance to get in to your home whenever they want. Leave the keys somewhere safe and ask the whole family to make this a safety habit. With winter just around the corner, you may soon find your home's lock iced over. If the key won't turn, remove the ice from the opening of the lock cylinder and carefully heat your key with a match, lighter or by placing it on your car's engine block or radiator. Use gloves to gently work it back and forth until the cylinder turns. 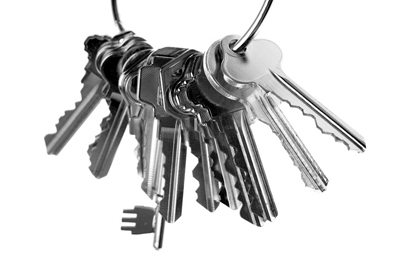 If the key still doesn't turn, call our technicians and we'll open your door safely without damage to your lock or key.